Databases containing material of value to musicologists have been in creation for more than 30 years. While most are focused on a single subject, methods of structuring are variable. Sites in which the material is predominantly textual are listed here. Text and image are integrated on some sites. Sites that focus on images with only sparse metadata are listed above. Among subjects listed here here: catalogues, inventories, and thematic indices; letters and treatises; instrument makers; ethnomusicological sources; and image archives. The Bodleian broadside ballads project, which was developed mainly from 1995 to 2000, spans the history of the genre. A search form enables users to access the allegro Catalogue of Ballads by sheet or ballad title, first line, and tune name as well as publisher, date, and other parameters. The Calendrier électronique des spectacles sour l'ancien régime et sous la révolution, originally developed at Oxford Brookes University by Barry Russell (1943-2003) and in Toronto by David Trott (1940-2005) but expanded to include other collaborators after their deaths, offers a searchable database of personnel (broadly defined), titles, dates, venues, and pertinent treatises on the French theater of the seventeenth and eighteenth centuries. Among its most unusual holdings are its calendar of police reports from the revolutionary period. With over 400,000 items covering actors, playrights, venues, et al., CESAR covers the entire francophone world. A search site with extensive metadata and musical incipits for a repertory of 10,000 works from the sixteenth century. Multiple settings of the same text have individual listings (e.g. "Susanne un jour" currently has 26 listings). Works can be searched by title, scoring, composer, source, location, and text. Instrumental arrangements of originally texted pieces are included. The site is cross-referenced to comprehensive secondary sources and modern editions. The project is directed by Annie Cœurdevey at Ricercar, the musicology research program of the Centre d'Études Supérieures de la Renaissance (CESR) at l'université François-Rabelais de Tours. CLORI, which hosts cantata texts, manuscript source citations, and images that show characteristics of handwriting, has a number of sponsors and collaborators including the Italian Musicological Society (SIdM in Italian), the University of Rome (Tor Vergata), the Italian Institute for Music History (IISM), and RISM. The project is headed by Teresa M. Gialdroni. Click the "ricerca" button to go to the search form. The German Folk Music Archive (in German) has evolved over a century (to 2014) as a central clearing house for folk songs from German-speaking lands. It contains several component parts including (1) a Lieder Lexicon in which folksong texts are listed alphabetically; (2) a listing of specific projects, mainly those with a critical dimension; and (3) a popular Song Lexicon. This extensive canvas of secular music in the American colonies and early states (1589–1839) consists of a series of indices (titles, first lines, musical incipits [by scale degree], stressed notes, et al.). It was developed over the 1970s and 80s by Kate Van Winkle Keller, Robert Keller, Carolyn Rabson, Raoul F. Camus, and Susan Cifaldi. The contents include ballad operas, band music, song sheets, theater works, and the names of tunes played by musical clocks. Pepusch's aria "In vain is complaining" from Thomyris, London, 1707, image 0115 at the University of Kentucky Athena website. Six thousand English broadside ballads, mainly from the seventeenth century, are included in this comprehensive project extending to related artistic and cultural phenomena. It development continues through 2016. Under development since 1997, HUAPALA is a website consisting mainly of texts derived from recordings of Hawaiian traditional music. Its aim is to preserve the musical culture of the Hawaiian Islands through not only the lyrics but also associated artifacts. Some musical overlaps with Samoa and Tahiti allow for comparison of lyrics from the broader Polynesian world. The Goldberg Foundation has set up a system of hyperlinks to digitized resources for this subsector of the chanson repertory. As a collaborative project, it is somewhat uneven in its offerings. In compensation, comments can be appended to listings. This collection, housed at the University of Kentucky, was once owned by the double-bass player Domenico Dragonetti. The contents mainly consist of opera arias (Handel, Bononcini, Purcell) and cantatas (rather than folksongs or sea shanties) in scanned images. The Fondo de Música Tradicional, hosted by the Institució Milá i Fontanals (IMF-CSIC) in Barcelona, includes more than 20,000 melodic transcriptions collected between 1944 and 1960 from regional oral traditions throughout Spain. Most music in the database was compiled through efforts of the former Instituto Español de Musicología of CSIC. The website/database contains 10,000 unique pieces from more than 4,500 informants at 3,000 locations within Andalusia, the Balearic Islands, Castile-La Mancha, Castile and León Region, Catalonia, Extremadura, Galicia, Murcia Region and the Valencian community. The collection also includes old video and audio recordings. Additional materials are continually being incorporated by the project's team, directed by Emilio Ros-Fábregas. The VolksLiedWerke is assembled from collections originating in Austria's states. Searches by title, personal name, or corporate name are possible. Supported by the Austrian National Library (Oesterreichische Nationalbibliothek) and other entities. Some regions have separate websites, such as this one for the Tyrol, where scores and recordings may also be found. The Antiphonale Synopticum project (currently in German only) is the most recent addition to the Cantus Index Network–a series of connected, online projects employing the same structure and methodology. Based at the Universität Regensburg, it is directed by Harald Buchinger. It seeks to support identification of textual and melodic variants. Antiphonale Synopticum and its networked partners operate under the guidelines of the Cantus Planus Study Group of the International Musicological Society, which include the free and open exchange of data in electronic form. Cantus is a large, steadily-growing resource containing inventories of medieval chant manuscripts and related analytical tools. Its original home was the Catholic University of America (Washington, DC) under Ruth Steiner. After a period at the University of Western Ontario (London) under Terence Bailey, the database was moved to the University of Waterloo where Debra Lacoste is the current project manager and Jan Koláček (Prague) is its web developer. 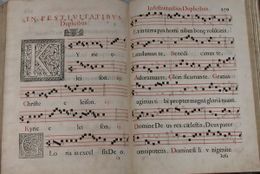 It has recently expanded from inventories of antiphoners and breviaries to manuscript sources containing Mass chants, including sequences. By providing a searchable database of detailed information for (currently) over 160 medieval manuscripts and over 440,00 chants, the Cantus Manuscript Database is a useful digital archive for musicologists and other academic researchers, librarians, archivists, as well as performers of this early music. Users can search for chants by text, saints’ name or liturgical occasion, and Cantus ID number. Tools for browsing, analysis, and data-entry are provided. An introduction to the database can be found in a YouTube video by Lacoste (2014). The Cantus Manuscript Database is the flagship site in the Cantus Index Network–a series of connected, online projects employing the same structure and methodology. The Cantus Manuscript Database, Cantus Index, and its networked partners operate under the guidelines of the Cantus Planus Study Group of the International Musicological Society, which include the free and open exchange of data in electronic form. Roman Gradual published in 1614. Trento, Castello di Bonconsiglio, Biblioteca Feininger, FSG 19. This was the first volume (1614) in the Medicea [reformed] series edited by Felice Anerio and Francesco Suriano. An abiding problem in chant research is the evaluation of rhythm and proportion. This website (in Italian) by Marco Gozzi explores interpretative methods for repertories that are viewable online in early prints and manuscripts. A search form facilitates the retrieval of examples by source location. Excellent leaf-by-leaf viewing tools are provided. 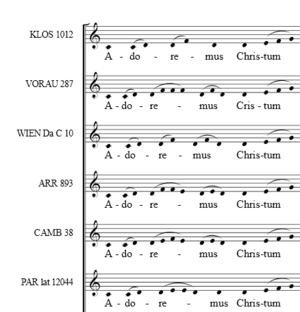 Cantus Planus Regensburg is a long-established web archive for medieval chant research. It includes downloadable data files and various databases, e.g. Post-Easter and Pentecost Alleluias, Responsories of the Dead (Ottosen), Advent Responsories (Hesbert), Medieval liturgical manuscripts in German and British libraries, and other pertinent tools such as David Hiley’s (et al) very useful medieval chant bibliographies. The project is directed by David Hiley and Robert Klugseder. The online implementation of Max Haas's lengthy investigation of chant variants is recent. After loading the data one can search either by text or by melody. A "canvas" offers a graph to map chant movement. Setting of first two words of the antiphon "Adoremus Christum" from six of ten sources included in the Comparatio database (Cantus No. 001006). Comparatio, a member of the Cantus Index Network, presents transcriptions of selected chants in side-by-side views to facilitate the identification of liturgical traditions. It was developed at the Institut de recerche et d'histoire des textes (IRHT) of the Centre national de la recerche scientifique (CNRS) by Claire Maître. Comparatio and its networked partners operate under the guidelines of the Cantus Planus Study Group of the International Musicological Society, which include the free and open exchange of data in electronic form. Mark Everist's conductus catalogue, officially called CPI (Cantus pulcriorem invenire), contains 866 works found in 547 sources (start of 2015). It facilitates search by title, source, form, style of setting, stanza, poet, language, poetic structure (several subfields), and terminal accent. Sources listed are digitized and viewable online. Cross-listed to DIAMM and RISM. Fontes Cantus Bohemiae is a member of the Cantus Index Network–a series of connected, online projects employing the same structure and methodology. This site aims to inventory chant sources in Czech regions of Central Europe. 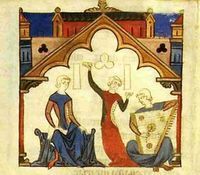 Data representing 7,200 chants from the 12th-14th centuries have been uploaded to date in CANTUS-compatible formats. FCB and its networked partners operate under the guidelines of the Cantus Planus Study Group of the International Musicological Society, which include the free and open exchange of data in electronic form. Under the Répertoire tab of the Académie de Chant grégorien, the website Gregorien.info contains thousands of chant texts, their sources, and translations. The site is linked to the Cantus Index Network, and is now owned and directed by Inga Behrendt. The history of the development of the website is here. Gregorien.info and its networked partners operate under the guidelines of the Cantus Planus Study Group of the International Musicological Society, which include the free and open exchange of data in electronic form. (1) CAO-ECE, the original component, was intended to facilitate studies of change in liturgical traditions over time and the study of other relationships within the liturgical Office of the middle ages. (2) Gradualia, the newer component, brought similar capabilities to the medieval Mass but with greater attention to source material. The HCD and its networked partners operate under the guidelines of the Cantus Planus Study Group of the International Musicological Society, which include the free and open exchange of data in electronic form. The venerable Hymn Tune Index (HTI) has been developed over more than 40 years by Nicholas Temperley. Its initial aim was provide an index of all hymns with English-lnaguage lyrics up to the year 1900. At present the online part goes through 1820. Listing for the remainder of the nineteenth century are in progress. A full history is available here. Hymn tunes have their own conventions of indexing, among which the metrical scansion of the verse(s) is prominent. Identical profiles are grouped together, facilitating a search by this rubric. Hymns can be search by name and by its HTI number; by title; by lyrics; by the name of a compiler; and by composer. 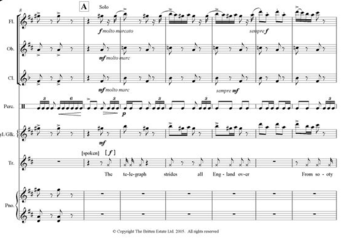 Temperley's work has produced the four-volume printed Hymn Tune Index published by Oxford University Press (1998); revisions to it can be found here. The online search capabilities have been developed at the University of Illinois since then. Records for c.40,000 settings of the Ordinary of the Mass from 1400 to the present day. In process of migration (March 2014). This online catologue by Jeffrey Kurtzman and Anne Schnoebelen in the Journal of Seventeenth-Century Music (JSCM) Instrumenta series contains 2,004 listings of printed music for the Mass and Office. The resource provides complete verbal material (title pages, dedications, prefaces, indices, contents by text incipits, liturgical and performance rubrics, and all other verbal material with the exception of full texts), most in diplomatic transcription, of all known prints of this repertoire. The remarks include format, sources consulted and other information of particular note. Entries, in pdf format, are fully searchable with lengthy indices of less obvious terms in all orthographical variants. The CantusPlanus.at website (officially entitled Musikalische Quellen des Mittelalters, or Musical Sources of the Middle Ages in the Austrian National Library), based at the Austrian Academy of Science, provides both detailed information on medieval music manuscripts in the Austrian National Library and basic information for manuscripts in all other Austrian libraries. Images for all manuscripts of the National Library plus full digitizations of some other special manuscripts (14,500 images) are provided. There is also access to the (manually-compiled) database of Constantin Schneider (1928), which addresses more than 1,650 sources. Several other data resources are included. Although not officially connected to the Cantus Index Network or Cantus Manuscript Database, several codices have been inventoried according to “Cantus” standards. The project leader is Robert Klugseder. An antiphon for the Feast of St Martin from the Medieval Music Database. First antiphon for the feast of St. Martin ("O beatum ponteficem" ( from Perugia, Biblioteca Comunale MS 2796, f. 97v). Note the original neume types above the modern transcription. The original database, a model of integrated presentation combined with independent search of text and music fields, was developed by John Stinson and John Griffiths at LaTrobe University (Australia) between 1987 and 1999, when the university's music department was closed. It was maintained over the next five years by the University Library and is still accessible (2014) at the above link. Plans to bring it under the umbrella of DIAMM are under discussion. One of MMD's great strength, for students of liturgy, is the ability to scroll bilaterally through the temporal and sanctoral cycles, that is by feasts of the Ordinary and those of the Proper. Other supported search fields are text, composer, genre, manuscript, and melody. MMD is cross-referenced to the CAO database. The musical examples in MMD were originally produced with Scribe software, also developed by Stinson and Griffiths (c. 1990). It encoded neumes and ligatures (mainly for fourteenth-century music) for printing on a color deskjet printer. It was designed for the DOS operating system and could export to the SCORE music-notation program. Jason Stoessel is continuing the development of the MMD. Jennifer Thomas's guide to motets and Mass Propers in manuscript and printed sources from the period 1475-1600. 33,000 items, indexed section by section. Excludes Magnificats, Lamentations, canticles, and strophic hymns. Offers extensive scribal and source detail. This project within the NEUMA consortium currently contains a musical index with incipits (available in several formats) for almost 1,000 printed works. Notable composers represented in Campra, Couperin, Clérambault, and the Dutch polymath Constantijn Huygens together with motets by many little-known composers and several anonymous Noëls. Nathalie Berton-Blivet is the curator. This notable collection of scanned chant books includes the Liber Usualis and many other resources for modern use in traditional settings. Illumination a Mexican Choir Book in the Libros de coro online collection. Musicat: Actas de Cabildo is a searchable compendium of references to music in cathedral documents in the period 1525-1828. Musicat: Catalogos de Musica is an OPAC catalog with musical incipits of manuscript and printed music at Mexican Cathedrals. Coleccion Estrada is a digitized collection of 122 manuscripts of 17th- and 18th- century Mexican music sources. Libros de coro is an online guide to the collection of choir books at Mexico City Cathedral. At present it includes 18,000 images. Most pages contain explanations in both Spanish and English. The search page (in Spanish only) is found at http://musicat.unam.mx/nuevo/adabi_busqueda.php. Although works are predominantly sacred ones, many villancicos, pedagogical materials, and simple songs can also be found. Underlying literary sources are in Spanish, Latin, and African dialects found in sources. Tjhe databases are maintained by the Instituto de Investigaciones Esteticas of the Universidad Nacional de Mexico. This member of the Cantus Index Network provides access to both Mass and Office sources in a range of libraries in Poland. It is based at the Polish Academy of Sciences in collaboration with other institutions and is directed by Bartosz Izbicki. Within Poland it is cross-linked with several music-bibliography sites. Cantus Planus in Polonia and its networked partners operate under the guidelines of the Cantus Planus Study Group of the International Musicological Society, which include the free and open exchange of data in electronic form. Illumination from an early Portuguese cancional. The Portuguese Early Music Database (PEM) links Portuguese music manuscript listings with both RISM entries and the Cantus Manuscript Database (and its main catalogue, the Cantus Index). PEM is searchable by genre, feast, and composer. The digital holdings of the Centro de Estudios de Sociologia e Estética Musical consist overwhelmingly of short sacred vocal works found sources that are extremely fragile and therefore well served by digitization. Manuscripts are mainly from the 14th–16th centuries. All sources are reproduced in color. A full listing is here. PEM also maintains a list of links for early sacred-music projects. PEM and its networked partners operate under the guidelines of the Cantus Planus Study Group of the International Musicological Society, which include the free and open exchange of data in electronic form. This collection of metadata and musical incipits (1500-1800) has been developed over decades under the direction of David Bryant at the Fondazione Giorgio Cini Onlus, Venice, with significant contributions by many individual scholars, and is now served at the Institute of Musicology, University of Fribourg (CH) and implemented by the Swiss RISM office. Search by composers, publishers, musical incipits, and much else. The musical incipits are encoded in DARMS and are rendered in mensural notation. The Psalmendatenbank has been developed in the Weimar-Jena musicology seminar under the direction of Helen Geyer. Contributors include Christian G. Grote, Michael Pauser, and Birgit Johanna Wertenson. Its focus is on psalm settings in Italian manuscripts of the seventeenth and eighteenth centuries. This database, hosted at the University of Michigan, contains entries on c. 14,000 sources of liturgical music printed through the year 1600. Started by David Crawford (1995) and continued by James Borders, the database contains entries from publications in France, Germany, and many other European countries. Coverage extends to multiple Roman Catholic rites and to Protestant and Jewish liturgies. The Slovak Early Music Database is a member of the Cantus Index Network–a series of connected, online projects employing the same structure and methodology. The SEMD focuses on manuscript sources (some of them fragmentary) and some early prints from the eleventh to the sixteenth centuries. Based at the Slovak Academy of Sciences, it is directed by Eva Veselovská. The database, on which other Slovak institutions collaborate, currently offers over 300 items (manuscripts or fragments) which can be searched by title, feast, and other rubrics. Source images are available at high resolution. The Slovak Early Music Database and its networked partners operate under the guidelines of the Cantus Planus Study Group of the International Musicological Society, which include the free and open exchange of data in electronic form. Spanish Early Music Manuscripts is a member of the Cantus Index Network–a series of connected, online projects employing the same structure and methodology. SEMM focuses on manuscript sources from medieval Spain, and endeavours to catalogue the “old Hispanic” chants in surviving antiphoners, breviaries, graduals and missals. Carmen Julia Gutiérrez is its project manager. SEMM and its networked partners operate under the guidelines of the Cantus Planus Study Group of the International Musicological Society, which include the free and open exchange of data in electronic form. This online catalog is a continuing project to bring together all repertoire that exists for the clarinet quintet (defined as a string quartet plus a clarinet). The project seeks to offer complete, authoritative data relative to each composition and to demonstrate the totality of the genre. To that end, the site allows for, and welcomes, comments, verifiable corrections, and appropriate ancillary information that may help illuminate a better understanding of an individual work or the entirety of the repertoire. This online catalog evolved from the personal catalog of Donald L. Oehler. Currently containing 600 works, it was developed over decades of a professional career. The project will continue to grow as works are regularly entered not only from Oehler's collected catalog listings but from the most recent and reliable data available for new works or newly discovered works. Currently (2015) the online catalog is approaching 400 entries." Each entry shows a facsimile of the first page and gives title concordances and other information about the work. The site's search boxes enables random access. Works can be grouped by period, country of origin, and key. A violin by Gio. Paolo Maggini, Brescia, c.1610. Liuteria Bresciana. Duke University's Classical String Quartets website may not represent the largest collection of this repertory, but it is the largest collection of digitized prints currently accessible online. Its contents are characterized as "rare and unusual" rather than mainstream. If you are looking for variety, consider Förster, Gassmann, Pixis, or Wranitsky (a small sampling of composers represented). Hof-Musik is not so much one database as a collection of resources for studying music and musicians (mainly instrumentalists) in the courts of Southwest Germany. It is based at the Heidelberg Academy of Sciences. Musicians are listed here, instrument makers [their metyhod here]. The number of smaller courts included is considerable. Some editions and facsimiles are also available. 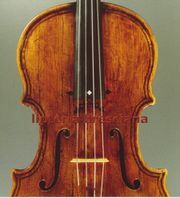 Brescia was the first home of violin-making. So many of the early makers died in the plague of 1630-31 that Brescia was unable to regain its former glory. It exerted considerable influence on instrument-making in nearby Cremona, which flourished after 1650. Ugo Ravasio's website (Liuteria Bresciana), which covers the period from 1550 into until the eighteenth century, mainly emphasizes the pre-1630 period. Music Instrument Museums Online (MIMO) is a multilingual, searchable site providing descriptions of individual musical instruments in curated collections worldwide. Its 55,000 items can be viewed by family or by location. Results can be filtered by date, place of production, and maker. Measurements and other details of each instrument are provided. Its iconographical value is very considerable. The spinet of 1610 by Vincenzo di Prato, pictured here, comes from Grassi collection in the museum of the University of Leipzig. The rear of a viola by Gasparo Bertolotti da Salò made before 1609. National Music Museum No. 3368. The National Music Museum (Vermilion, South Dakota, US) possesses a highly diverse collection of instruments. It also houses a program on instrument conservation. The main components of the collections are (1) the Witten-Rawlins collection of Northern Italian (Brescian-Cremonese) strings from the seventeenth century, (2) an extensive group of instruments manufactured in the US in the nineteenth and twentieth centuries, and (3) a substantial collection of instruments from other parts of the world. The NMM provides links to many other little-known collections. This website contains databases (with copious photographs) of historic collections, instruments, and ephemera in several Polish collections including the Museum of Industrial History in Opatowic, the Andrzej Szwalbe Collection in Ostromecko, and the Fryderyk Chopin Institutein Warsaw. Many of the photographs in the blog contain sketches, pastels, lithographs, and paintings of musicians at work. The Museum of Folk Instruments in Szydłowiec, established in 1968, houses the largest collection of folk instruments in Poland and documents rich musical relationships with adjacent regions. Holdings date from the seventeenth century onward and currently number more than 2,000. The collection (which is housed in the Szydłowiecy-Radziwill Castle, is particularly rich in bowed instruments, cymbals, and bagpipes. Some links within the site provide sound files. Those looking to reconcile modern dates with those in use before the Gregorian calendar was adopted can derive a correct translation here. Many more calendars were in use than those indicated here. Adoption of the Gregorian (modern Western) calendar occurred between 1582 and 1926. Standardized tools to generate early calendars (e.g. the Unix cal tool) ignore historical change and thus render incorrect results. Many sights offer these modern calendars with various degrees of refinement, but they are not appropriate for historical use. There can be local variations in the days of minor saints. See such sites as Liturgy Office (UK); the Liturgical Calendar Online; Greek Orthodox. Some cultures maintain separate civic and religious calendars and thus impose an additional level of complexity to the reconciliation of dates. Orthodox Jewish culture offers one example. In simpler circumstances, the Etz Hayim website offers instructive examples on the reconciliation of Christian and Jewish dating systems. The Muslim calendar is complicated in a global context because of its dependence on (the time of) the initial visibility of a new moon, in combination of adherents across many times zones. Additional cultures and religions, including Buddhism and Eastern Orthodoxy, are included in Santa Clara University's Calendars of the World's Religions website. Germania Sacra has several facets to what is essentially a database of personnel in German churches and monasteries from the medieval through early modern periods. Primary emphasis is placed on earlier period. The register of people (linked here) gives the flavor of the whole. It contains 4,000 listings (2016). The Medici Archive Project (MAP) is an ambitious effort to focus attention on the vast archives of the Medici Principiate (which endured from the early Renaissance until 1737) in the Florentine State Archives. It is conceived as a continuing project and has spawned several quasi-independent research projects. The online database provides short transcriptions from across the entire documentary base. The project has thus far produced more than 300,000 digitized images from the Medici court. The first music folio from J. S. Bach's unaccompanied suite for cello BWV 1001 in the Deutsche Staatsbibliothek Mus. ms. P 268. (Three other manuscript sources for this work are available at the site). Bach Digital, based in Leipzig, is a one-stop shop for a catalogue of work by J.S. 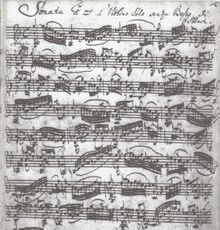 Bach (BWV); of scanned manuscripts; and of a database of manuscripts associated with the Bach family. When complete, it is intended to serve a wide variety of needs of scholars and interests of a wider music audience. An earlier Datenbank der Bach-Quellen (Database of Bach Sources) operates under the auspices of Göttingen's Johann-Sebastian-Bach Institute here. The Staatsbibliothek in Berlin makes available close-up views of numerous details of the Beethoven's autograph for the Ninth Symphony. This view shows one of the best known passages of the work: Bars 921–922 of the Maestoso movement with the text "Tochter aus Elysium, Freude, schöner Götterfunken!" (Artaria 204(4), f. 124.) A general commentary on the nine symphonies can be found here. The Handel Reference Database (HRD) provides a continuously updated version of the documentation that accompanied the Stanford doctoral thesis on the reception of the music of G. Fr. Handel by Ilias Chrissochoidis. More than 470 prints of Lassus's compositions up to 1687, but many titles known from the prints cannot today be verified against surviving manuscripts. This inventory of manuscripts follows on from Horst Leuchtmann and Bernhold Schmid's inventory of printed works (Kassel, 2001) and attempts to clarify the status of both surviving and lost titles. It supports single-parameter and Boolean (multiple-criteria) searches. This online edition, based on the 1962 edition of Wilhelm Bauer and Erich Deutsch, contains 955 documents. 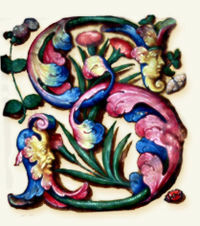 Each letter is presented in parallel in a modern transcription and a photographic reproduction of the original. The resource is maintained by Salzburg Mozarteum and The Packard Humanities Institute. In Mozart’s Words provides multilingual access to an annotated version of the voluminous correspondence of Mozart and his family (a corpus of approximately 1,400 letters) that will be made available online on this website. The website offers (1) a univocal database of all references to people, places, and musical works contained in the letters, facilitating the systematic search of all cited occurrences, and (2) access to background materials such as reviews, newspapers, documents, objects, paintings, engravings, and books as a corollary to the historical-critical annotations. The texts are synonymous with those of Cliff Eisen's online edition of Mozart's correspondence (2011: ISBN 9780955787676). The aim of this collaborative project, managed by Dexter Edge and David Black, is to bring documentation not reported in musicological literature to public attention. Some items have been retrieved from large repositories of digitized text. A chornological list of posted documents can be found here. Schenker Documents Online (Southampton University) provides a scholarly edition of Heinrich Schenker's correspondence, teaching notes, and translations of materials in German that help to show the gestation and development of his ideas. It concentrates on the period 1925-1930. Schubert Online offers combined access to a total of 555 autograph scores, letters, and other documentation on Schubert. Much of the work was facilitated by the Vienna Science and Technology Fund [WWTF or Wiener Wissenschafts-, Forschungs- und Technologiefonds]. The holdings covered come from Vienna's City Hall [Rathaus], the Austrian National Library, the State Library of Berlin, and the National Library of Norway, with intellectual contributions from the Music and Psychology program in Cologne and the Musicology Institute at the University of Vienna. Full-text search is supported for the letters. Deutsch Numbers are used for the music manuscripts. In most cases copies of manuscripts must be ordered from the holding library. The most important composer in Bavaria in the first half of the sixteenth century, Ludwig Senfl (c. 1490-1543) spent almost all his life in the Munich court chapel, first as choirboy, then as musician and composer. Polyphonic incipits in mensural notation are among the items that can be retrieved by genre, voicing, and so forth. Cross-linked to DIAMM. This collection of letters (1838–1883) especially concerns the countess Clara Maffei and Verdi's wife, Giuseppina Strepponi. It was placed online for the Verdi centenary in 2013 by the Braidense National Library in Milan. This great bulk of items in this miscellany (1786 of 2092), which includes corrspondence, scenery designs, pertains to Verdi and his dealings with Giovanni, Tito, and Giulio Ricordi, deals with librettists, casting, staging, and other production details, 1849-1893. One letter (1897) is from Giacomo Puccini. The Danish National Digital Sheet Music Archive is a model operation. Note the frame at the left, which identifies all digitized music; a special collection for flute; another for guitar; and the entire Carl Nielsen Edition available for download. Although Danish music is well served, the site includes a great deal more, including eighteenth-century manuscripts, standard repertory in high-quality late nineteenth-century prints, and a special theater collection including opera libretti. Early Music Online is a digital repository of music in printed anthologies principally from the sixteenth century. Based on holdings in the British Library and related to one series of RISM listings, the digitized volumes of EMO include madrigals, sacred songs, music "concerted by voices and instruments," and pedagogical works. These digitized sources provide access to digitized copies of the Inglis collection of printed music, memoirs, lyrics to Scottish folksongs, musical magazines, and Scottish keyboard music. The collection of mainly eighteenth-century vocal music belonging to Berlin's Singakademie since the time of Karl Friedrich Zelter was long dislodged by twentieth-century wars and politics. The institution's history is the focus of a project to digitize letters, documents, and materials on which prospective applications were tested. The Singakademie is also a participant in the Bach Digital and other projects related to music and musical culture of the eighteenth and nineteenth centuries. Listing for "Le Matin" in the Bizet Catalogue. See the complete work entry here. Every repertory has idiosyncrasies that make the adoption of a standard template ill-advised. Hugh Macdonald's Bizet Catalogue shows one of Bizet's idiosyncrasies through a listing of the composer's transcriptions of works by others (Gounod, Mozart, Saint-Saëns, et al.). The primary listing of works gives folio-by-folio detail of manuscripts for longer works with texts of underlying verses and notes on their authors, citations of self-borrowings, and much else. Morse code is imitated in this early (1935) incidental music by Benjamin Britten for the film "6d telegram". The text for choral numbers may have been by W. H. Auden. Further on the music see the full listing. The Britten Thematic Catalogue, an online only project based at the Britten-Pears Foundation, provides multiple access points for searching. Britten's career was extremely wide-ranging. His arrangements of music by Henry Purcell (54 titles) and of British folksongs (74 titles) filled much of his time in the 1940s and early '50s. The full gamut stretches from chamber music (134 items) mainly from the 1920s to his stage work Death in Venice (1973). Each work contains a detailed index with a graphical display and sound files. Sample entry from the Chambonnières Thematic Index. Bruce Gustavson's Chambonnières: A Thematic Catalogue. The Complete Works of Jacques Champion de Chambonnières (1601/02–1672) appears as Vol. 1 in the Instrumenta series of the Society for Seventeenth-Century Music. The series is digital only and is dedicated to voluminous music bibliographies. This database has a multi-faceted search interface. It is cross-linked to RISM IDs and has detailed source listings. (Content tends to vary slightly by source.) The general time-frame indicator gives a sense of the long tradition of recopying that followed the composer's works. Links to printed commentaries and modern editions are provided. Currently 906 works are included. This online catalog of works for Christoph Graupner (1683-1760) contains links to his digitized manuscripts at the Technische Universität in Darmstadt. After studies at the Thomas Schule, Leipzig, and a stint as cembalist of the Hamburg Opera orchestra (from 1705), Graupner was called to the service of Ernst Ludwig of Hesse-Darmstadt (1709). He remained there for the rest of his life. His numerous works (1,418 church cantatas, 24 secular cantatas, 113 symphonies, 44 solo concertos, 80 suites, miscellaneous chamber music, and eight operas) are largely preserved in the Darmstadt University and (Hessian) State Library. Links on the left lead to manuscript reproductions, those on the right to commercial recordings and editions. Florian Hayerick directs the project. The Danish National Library has prepared this online catalogue of 414 pieces, including operas, symphonies, and concertos plus vocal, choral, and chamber pieces. Each entry includes musical incipits, lists of sources and sketches, citations for textual sources, and lists of performances. The incipit for the overture of Carl Nielsen's Maskarade, a comic opera composed in 1905 Carl Nielsen Works Catalogue. In association with the Nielsen Catalogue, implemented by Axel Teich Geertinger, an editing tool for metadata used in similar projects has been developed by Sigfrid Lundberg and can be downloaded from GitHub. Based on MEI, the foundation of MerMEId was laid by Kristine Richts and Maya Hartwig. Further details about MerMEId and a sample implementation can be found at this site. Old Persian system of musical notation of the Farabi School. 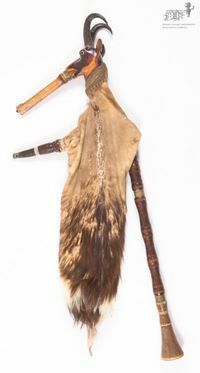 Images, sound files, and videos on the internet offer great scope for ethnomusicological study, but much of the material is limited to poorly documented materials with arbitrary labels. Only selected sites can be included here. Modern transcription of the above Persian notation. from the Farabi School. The University of North Carolina offers top-down collections of selected repertories from Egyptian, Turkish, Iraqi, and classical Persian music. Each site varies from the others. Explanatory material concerning composers, instruments, styles, and cultural emphases are general to most. The Farabi site also discusses theoretical concepts in Persian classical music. The Turkish one contains many sound examples. Originally a site for viewing images of rare manuscripts at various levels of resolution, DIAMM is increasingly an umbrella site for diverse projects in medieval music. The core textual database is organized by source location. Registered users may add their own comments about individual works. List and faceted search capabilities are currently being added. It now includes an online teaching resource for musicians wishing to learn more about the notation of medieval music. Register at http://diamm.nsms.ox.ac.uk/moodle/. This umbrella project serves a growing number of library-based projects, which are here cited individually. Emblem books are rich resources for those interested in decoding visual information in early printed materials. The collective site currently (April 2014) lists 636 emblem books. Searches by title, text, and image are supported. There are two component parts. (1) The Herzog August Bibliothek (HAB) Emblem Books and (2) the University of Illinois Emblem Books. The first makes available 636 emblems books, principally from the 17th and 18th centuries. It represents only a tiny fraction of the rich holdings of the Herzog August Bibliothek in Wolffenbüttel, which is particularly rich in seventeenth-century materials. August the Younger developed a three-tiered description system still in use today. Two noted figures--G. W. Leibniz (1691-1716) and G. E. Lessing (1770-1781) were later librarians. German materials are prevalent in the Illinois collection (as well as the German one). Additional digitized emblem books from Duke University, the Getty Library, Glasgow University, and the University of Utrecht are in course of being uploaded. Each has a separate search page. This site hosts 27 browsable emblem books associated with 16th-century France. Eack book is linked to an alphabetical listing by author that enables rapid exploration. Some sources are bilaterally in Latin. A smaller collection of Italian emblem books is also held. This collection includes several important iconographical works by Andrea Alciati, whose influenced was substantial in France. Full bibliographical entry for the typescript catalogue of music-related works published in the German Democratic Republic in 1975. Music Bibliography in the German Democratic Republic (Deutsche Demokratische Republik or DDR, 1949–1990) is an idiosyncratic subject but one which those engaged in music history of the later twentieth century may find compelling. The illustration accompanying this entry shows the full title of a typescript catalogue of new works (scores, writings on music theory, books, articles, and much miscellany) for the year 1975. This item can be found here. Database of 330,000 records from the Hofmeister Monatsberichte, 1829-1900, listing music publications of the period. Compiled by Friedrich Hofmeister and published in Leipzig by Breitkopf & Härtel. Well indexed for quick searches. 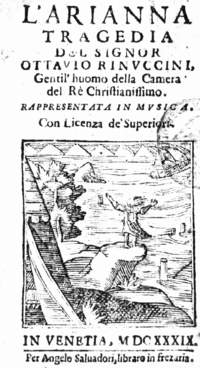 Title-page of Rinuccini's Arianna, set to music by Monteverdi (Venice, 1639). Braidense National Library, Milan, Corniani-Algarotti No. 0497. The Corago website contains multiple indices related to the history of opera. The libretto search engine is a comprehensive tool for locating information about librettos in catalogued collections. Hyperlinks to digitized librettos (see below) are inserted as appropriate. A database of productions continues up to present times. Clicking in the top row of the results orders results according to user preferences. Corago is a collaborative project headed by Angelo Pompilio. Institutional cooperation is provided by almost two dozen institutions in Northern Italy. The two largest libretto collections included are the Corniati-Algarotti (12,000 librettos) listed separately below and that of the Museo Internazionale e Biblioteca della Musica (11,000 librettos) in Bologna. Corago is the central search-engine for digitized libretti in the Bologna collection, but other pertinent materials can be found here. Although the search form shows only four fields, the name field (nome) will accept almost any proper noun (surname of composer, librettist, scenographer, city, theater, etc.). Most sources are digitized and downloadable. This collection holds 9,000 libretti (in Italian) from the sixteenth through the nineteenth centuries. Some were published and used outside Italy. Most texts were for operas, but oratorio, cantata, and serenata texts can also be found. The Rostock music dealer Albert Schatz (1839-1910) intended to write a history of opera based on primary sources. Although this goal was not realized, the donation of his sources and notes to the Library of Congress more than a century ago (1908) has long been a valuable offline resource. Scanned copies of more than 12,000 libretti, primarily representing Italian, French, and German prints of the seventeenth through nineteenth centuries, have now been placed online. The printed catalog of the collection by Oscar Sonneck is well known. Various filters can be found here. The new (2014) VifaMusik Libretto Portal searches across component collections held in the Bavarian State Library (5600 items), the Frankfurt University Library, and the Library of the German Institute in Rome (1500 titles). One can search by composer, librettist, and so forth. Since the term libretto referred to any small book, texts for oratorios, cantatas, serenatas, ballets, and so forth occur in some of the constituent collections. This title index for individual works relies on aggregators (the Braidense Raccolta Drammatica, ViFaMusik, the Internet Culturale, et al.) for most of its contents. Its principal holdings are libretti. Some links to scores can also be found. The advance search tool at atom.lib.byu.edu/opbs/advanced allows one to search within individual aggregations.